Item #40272 : Post era production. 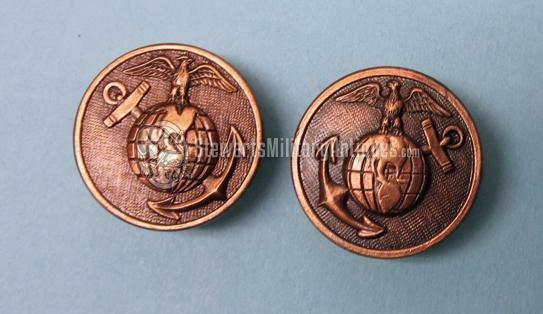 Pair of right-left enlisted USMC collar disc of the WWI era. These are modern copies, each is dated on the reverse with the letter R. This is the way all reproductions should be done. 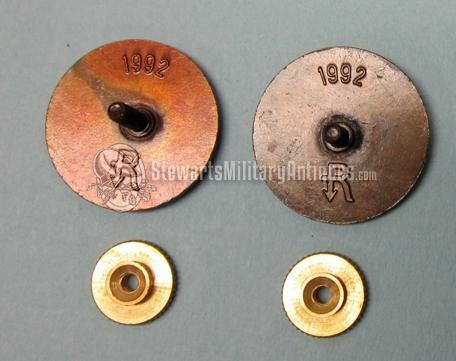 With original examples of USMC collar insignia being quite scarce and expensive when found, these well-made replicas serve a useful purpose. Priced per pair, several sets in stock, so minor details will vary.